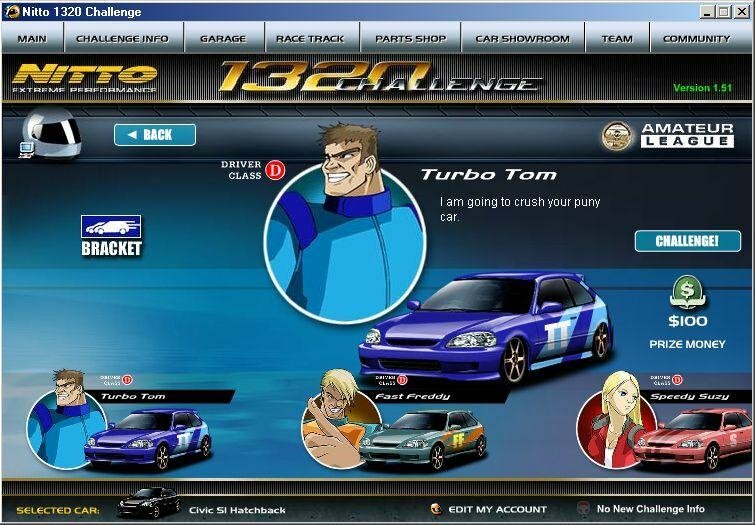 Drag race against the latest cars and win money for beating them! You can mod your current car or even buy new a new one. Play against users online or the built in computer drivers! 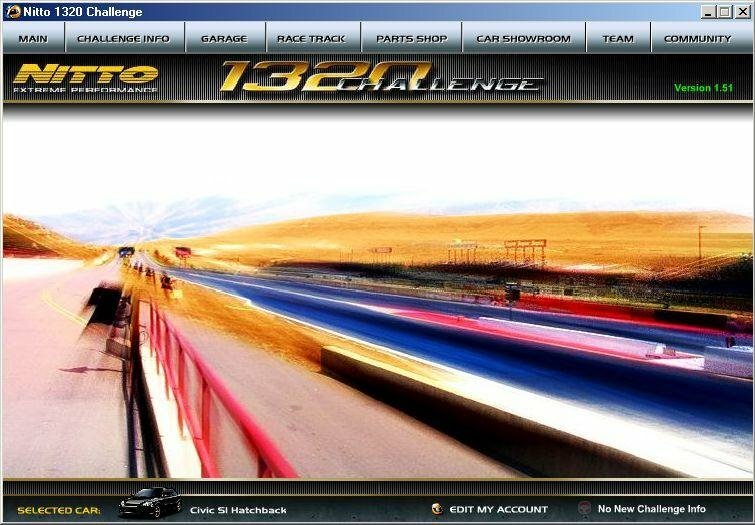 Nitto 1320 Challenge is a brilliant online drag racing game. Once you have signed up, you start out with a Honda Civic hatch back. You can choose what colour it is, but with no money from winning you cant do much more to it! There is a huge online community of players that you can challenge, or if you would like to get the feel of the game without embarrassing yourself, you can play against the computer too! 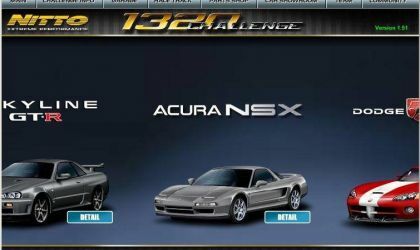 As you progress through the game you earn more money through your wins and can modify your cars engine, paint job, dyno tune it and ultimately upgrade your vehicle to the likes of a Dodge Viper, Toyota Supra, Ford SVT Cobra, Mitsubishi Lancer, Skyline GT-R and others! Game play is a bit different to get used to (change your gears with the keys and accelerate by dragging the accelerator switch forward) but once you have the hang of it, this game is extremely addictive. 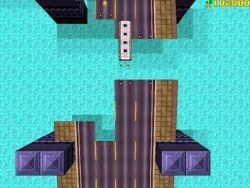 Smooth running and well designed I recommend this game to anyone, especially car fans. 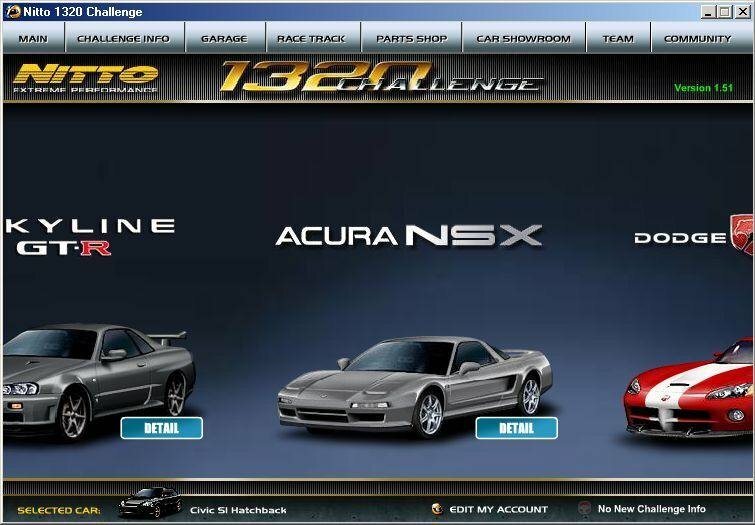 Nitto 1320 Challenge is an awesome worth having a go at. 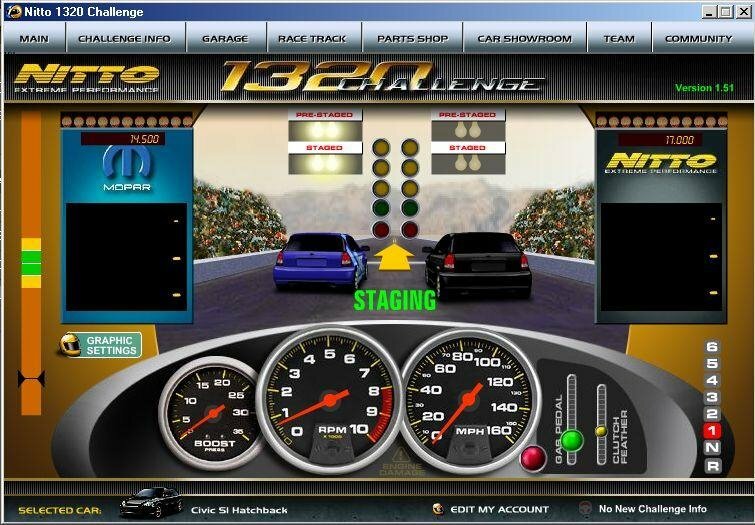 It is an online drag racing game where you buy and do up your cars and race other people and is really cool and fun to play. 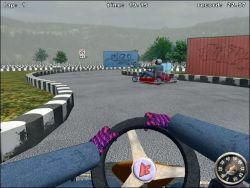 If you have played Drag Racer V3 and you liked it then you will definitely love this game. I have played the game for about 2 years and it's the best onlone real time drag racing game I have ever seen and they're always adding new cars and new options for you to have fun with. I would reccomend this game to anyone. **CAUTION** game is very addictive. This game is one of the best free drag racing simulators out there. Realistic everything is what makes the game so cool and a huge community. You can be in teams so just by reading this you can tell it is a great game! I love the nice graphics on the cars. I hope those guys make a new one so I can play it too. It's awesome. The play is beautiful and the graphics are excellent, I've only just got it and I already think that. Nitto is a cool, nice game. I love it, its the bomb. 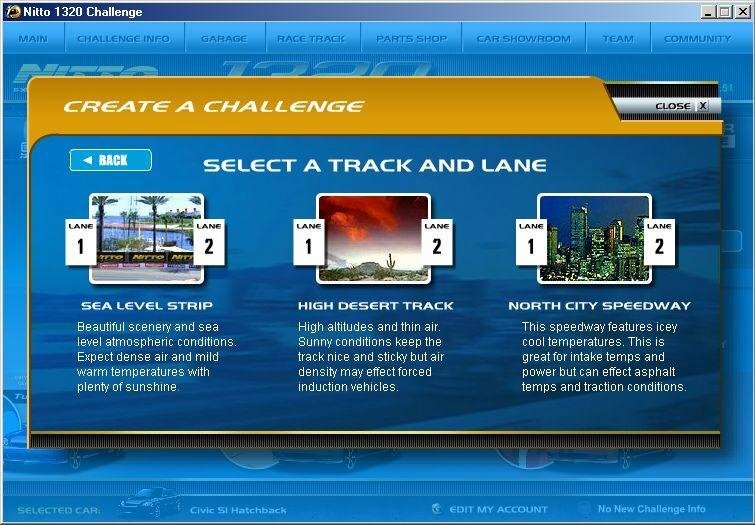 It beats Street Challenge by far in ratings.